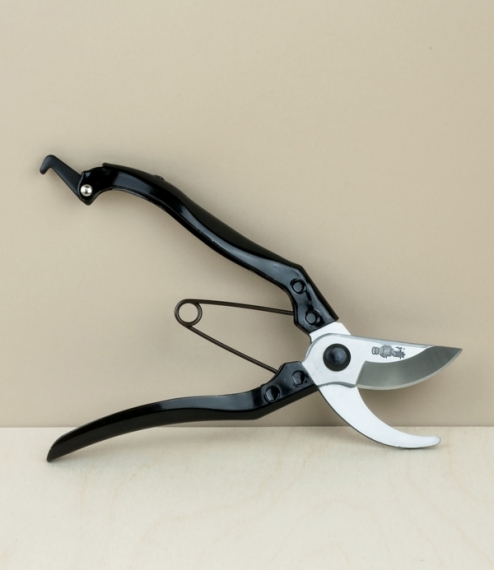 Classic and fairly long handled hedge cutting and forming shears from Japan. 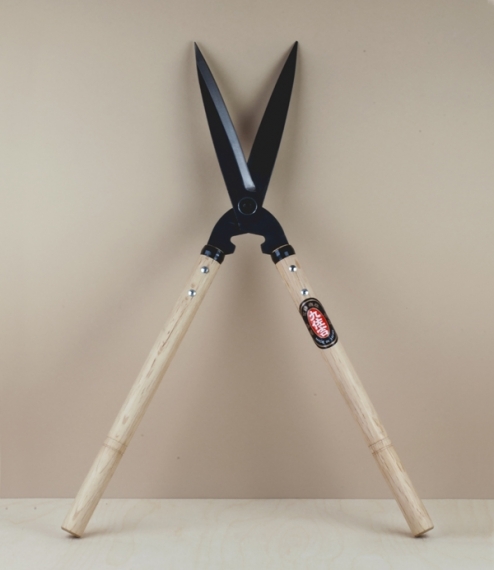 Rather like a proper pair of scissors these are made with slightly in-curving and hollow ground blades, meaning they are pressed together at tension only at the point of cutting as they slide past each other. 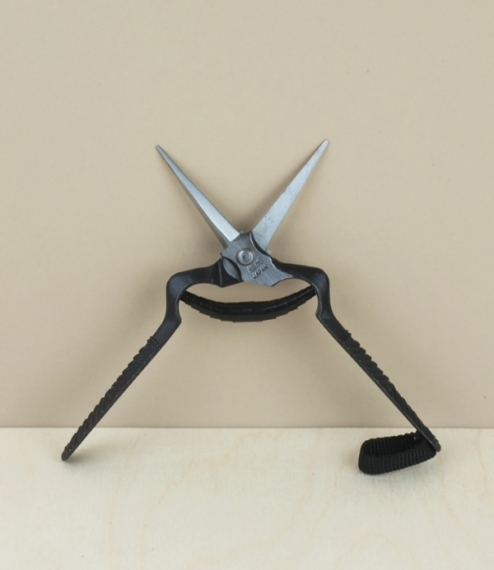 This gives a fairly smooth and even action, as well as helping keep the blades sharp. The blades are held with an easily adjustable bolt, for tightening as they wear, or disassembly for easier sharpening. Japanese white oak handles. With a blade length of approximately 20cm, and overall of 62cm.